Traveling is not always synonymous of holidays. The suitcase has to be prepared for business travel too. But the requirements are different and yet similar for some details ! Italy Creative DMC takes care of every single detail of your business trip planning, offering the maximum comfort, since traveling to work some time can be stressful. We know how transform your stress into a pleasant business trip. Generally, the business man has no time to spend and the growing needs and the contingencies are unforseen, for this reason our customers are protected by 24/7 service. Our business travel service is based on the design of the transfer, taking into account the time, the distances and the existing traffic, updated at any time to guarantee the utmost punctuality. We are continuously monitoring the requirements of our clients, without invading their stay, but responding to the needs and solving any issues may occur. Our services are customized both for groups traveling for business and for individuals with tailor made proposals. Visit also our VIP Travel page! Contact us to learn how Italy Creative DMC can help you achieve your Business Travel management objectives. How Italy Creative DMC can help you ? Discover it! Global service providing the best possible travel service at all times for every trip. Dedicated staff and partners of highly-experienced and knowledgeable available to consult with on all travel requirements and to support you around the clock if necessary. We take care of your business travel requirements at every level and our approach is to deliver professional travel services for today’s corporate clients through a combination of selected services: online, offline and on-the-go, to find the ideal fit for you and your company. We use our knowledge and experience to carefully consider your requirements. Draw up a profile: mapping out what your needs are, further define the best solution for your company and finally produce a suitable set of business travel proposals. We focus on the elements which matter most to you to ensure you are getting something specifically tailored to your requirements to exceed travelers’ expectations. We have also considered those travellers who require that little bit extra VIP service. Customize a global travel program that makes sense, a total trip planning to fit and respond to the requirements and became the perfect travel program to each of our clients. A reliable program that makes sense for your business trip. Make sure you get the service you deserve, receive the needed support to be productive and safe during the trip, quickly and proactively manage disruptions may occur so travelers can stay focused on accomplishing their business. Help you get the best combinations, take the advantage of the flexibility to choose from a variety of service options to find the ideal fit for your company thanks to our experience in the management of delegations and business trips for individuals and groups of any size. 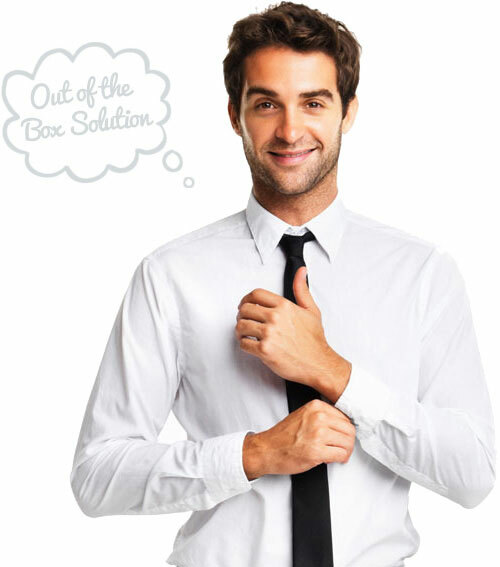 We don’t force your program into a one-size-fits-all box. A business travel is not free from inevitable interruptions or unexpected changes and we are ready to assist you in these circumstances, providing fingertips recommendations. We tailor our services to your needs, a variety of products and services shaped to the specific needs of each of our customer. We combine expertise and specialist knowledge to deliver value offering and tailored solutions for our clients. We build a program with you and for you, from start to finish. We provide a comprehensive range of corporate travel services and we deliver value at every step of your business travel, transforming every step in a uniquely individual service. How Italy Creative DMC can help you ? Discover it!